What are guns without roses? What are cops without robbers? What’s a pen without paper? What is home without Plumtree’s Potted Meat? Incomplete. They are all merely lonely concepts, needing their compadre to function properly. Now we have to ask ourselves, what is Dec without Ant? It’s a question which will be answered on the weekend with the first ever Ant & Dec’s Saturday Night Takeaway airing without the troubled host. 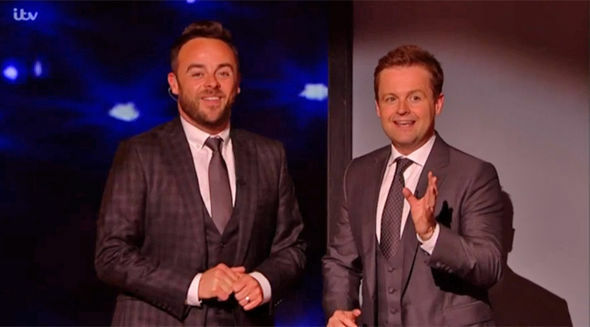 Not to belittle Declan Donnelly in the slightest, but it truly is hard to even comprehend Dec without Ant. It would be like Morecambe with no Wise, Laurel sans Hardy. Now in a Virgin Holidays’ advert to promote Saturday Night Takeaway, fans can catch a glimpse of a lonesome Dec standing alone on the stage for the first time in the aftermath of Ant McPartlin’s drink driving arrest, The Sun report. It makes a peculiar sight. We’re excited to work with Ant & Dec’s Saturday Night Takeaway again this year and to be able to provide such a unique experience for our lucky customers on board the flight out to Florida. 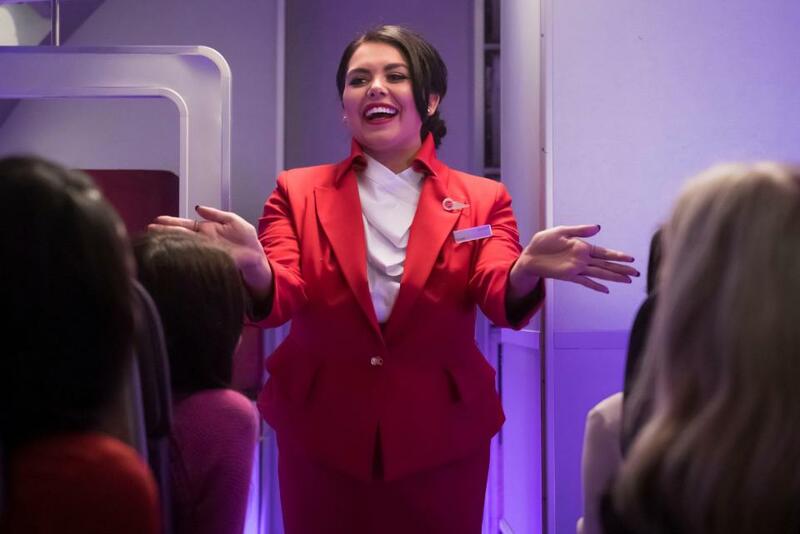 After watching Scarlett in the video we know she’s well equipped to get holiday-makers excited onboard – but maybe she needs a bit more training to reach the high standards our cabin crew are known for. Of course Ant should not have got into the driving seat of his Mini Cooper on March 18. But here we have a man who has a recent history of troubles for which he is returning to a lengthy stint in rehab. As I’m sure you are all well aware, McPartlin was arrested at the scene of a crash on Sunday, March 18, having failed a breathalyser test. He has since been charged with drink-driving. The TV presenter is now set to appear at Wimbledon Magistrates’ Court on April 4. The Virgin Holidays’ video has been released to celebrate the partnership between Virgin Holidays, Universal Orlando Resort and Ant & Dec’s Saturday Night Takeaway – particularly for the show’s finale trip to Florida on April 7, which is set to go ahead without Ant. 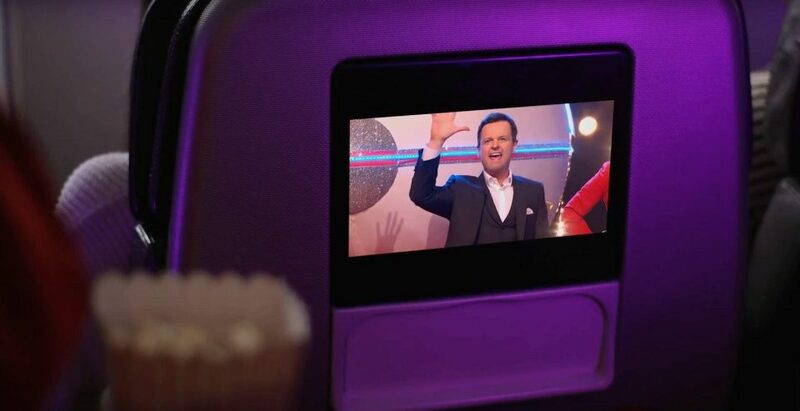 While the majority of the video focusses on Scarlett Moffatt starring as an air hostess onboard a flight of overexcited passengers, the most poignant moment is of course of Dec presenting by himself. As of yet it remains unknown who will fill the gaping void aside Dec. Will Ant make a full recovery and return to ITV sooner than expected, or will it be down to Scarlett Moffatt or Stephen Mulhern to fill his boots? The bookies have Scarlett as the favourite while Mulhern, Holly Willoughby, and Dermot O’Leary are also contenders. 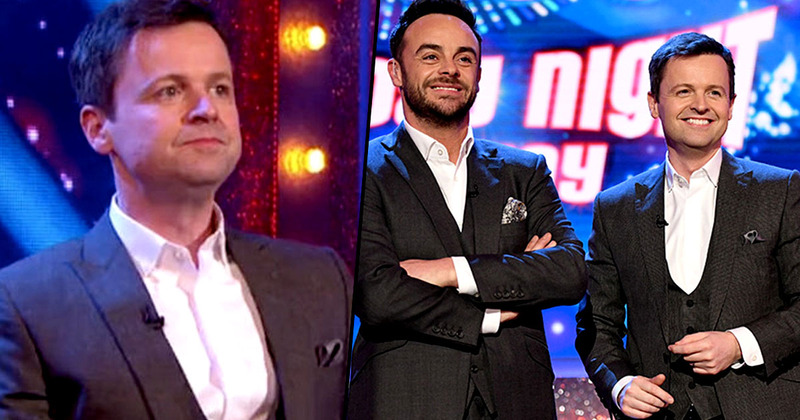 Whoever it is – it is an impossible task to replace the hosting powerhouse that is Ant and Dec.